With the highest number of engagements taking place over the holidays and Valentine's Day -- March marks the perfect time to start thinking about planning your wedding -- and how a bride looks on her wedding day is always the first thing to mind. Lifestyle and Bridal Expert Jessica Mulroney shares top tips on how to be picture perfect on the big day, and ensure brides look and feel their best as they walk down the aisle. 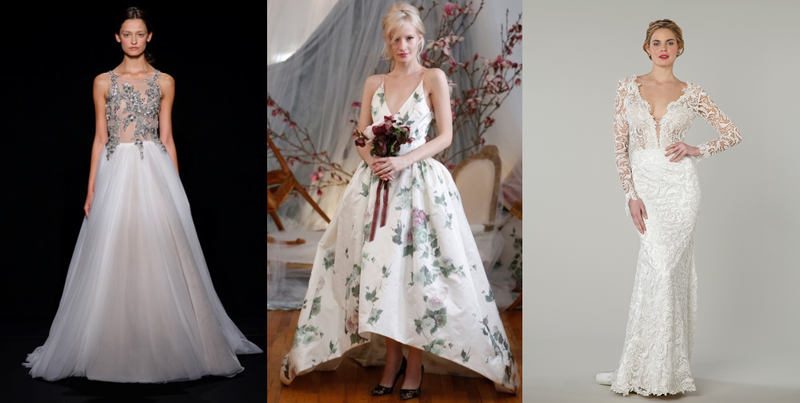 "Your hair, makeup, dress -- and how you look in that dress -- are all part of becoming the bride you want to be on that special day," says Jessica Mulroney, Lifestyle & Bridal Expert. "I always kick off my beauty regimen starting with the hair!" Hair: You should start thinking about your hairstyle at least six months before your wedding to ensure you have gorgeous tresses on the big day. Viviscal supplements are clinically proven to support healthy hair growth and are 100% drug free - made with natural ingredients. Each tablet contains the exclusive AminoMar C™ marine complex, silica and vitamin C, designed to help supply vital nutrients to nourish hair, resulting in a thicker and fuller-looking appearance to have gorgeous hair on your wedding day! Skin: Make sure to start early with your skin. If you are trying new treatments, you want to avoid having a reaction the week of your wedding, so experimenting about eight months beforehand is a good idea. Oxygen facials are a great option for glowing skin, as well as full body Gommage Exfoliators. Teeth: Seven months in advance should be enough time to work on your teeth, especially if you may need to have any professional procedures done - like braces or whitening. If you're not excited to go to the dentist (and who is?! ), you can do an at home teeth whiting treatment. Exercise: A combination of strength and cardio is always best. Once you know what style of dress you are wearing, you can focus on specific areas the dress highlights, like your back or arms. Checkout online workouts to get some great ideas that you can tackle from the comfort of your own home. Eating Well: It's important to eat a well-balanced diet leading up to--and on the day of--your wedding to keep your energy levels up. You can also try some great juices; look for ones with skin brightening benefits, such as green drinks. Also, avoid having too much alcohol as it can cause bloating and leave you feeling not-so-great the first morning of your honeymoon! "I attend a lot of bridal fashion shows in New York," says Mulroney. "One of the trends that certainly caught my eye was the 'sensual dress', which can include deep v-necklines, thigh-high slits and low backs." 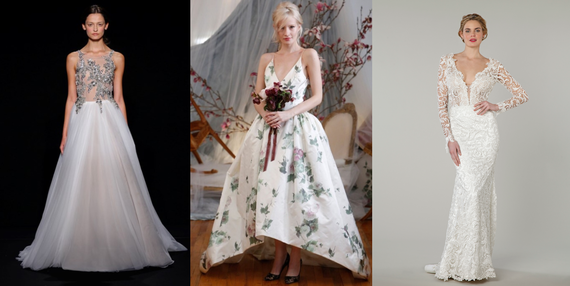 For brides who really want to stand out, very embellished dresses with lots of sparkle are a big trend. Many designers are incorporating floral 3D embellishments, which provide a feminine and beautiful way to stand out on your big day. Another big trend is the Transformer Dress. This is a dress typically includes a big skirt that can be removed and turned into a party dress: perfect for a bride that doesn't want to commit to one dress for the day. If you want that traditional look for the ceremony and then an easily accessible party dress for the reception, this trend is for you. For colours, this spring expect to see lots of pastels and prints!